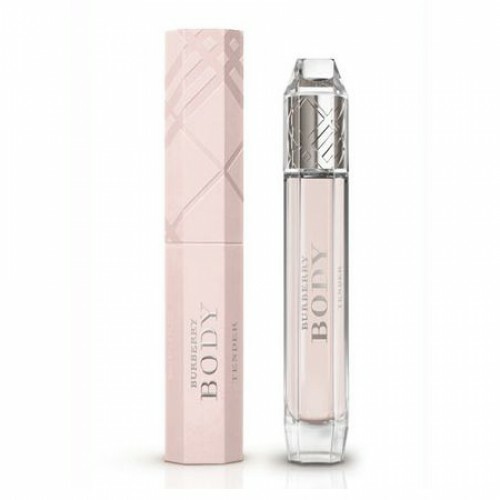 Burberry Body Tender is for women who admire the energy lifestyle. Burberry Body Tender 85ml. Eau De Toilette - This fragrance is soft, "transparent" interpretation of an original composition called Burberry Body. His inspiration was the energy and freshness of natural beauty and eternal youth, dew glow, which is in the morning on the petals of delicate English roses. Perfume is designed to strengthen and emphasize the natural fascination with the beauty of its owner, let her feel beautiful, cheerful, always young and irresistible. It represents a new standard of femininity, which does not require any tricks, and embodies the tenderness, boyish, lightness, charm, simplicity and tranquility. The light and gentle composition opens straight from the tin of apple flavors with peach, lemon and absinthe intoxicating. Meanwhile, the main role in the "heart" play with notes of sandalwood jasmine, rose essence, tea leaves. Rounding out the symphony enveloping chords of amber, vanilla and musk. The outer packaging, on top of which there is embossed, and on the bottom of the silver engraved name of the fragrance, made ​​in shades of pale pink color. The adjectives that describe this new version of Body are tenderness, eternal youth, serenity, ease and charisma. The composition opens with fresh aromas of lemon, apple, peach and absinthe. The core of the composition includes essences of rose, tea leaves, jasmine and sandalwood, all placed at the base of cashmere accords, vanilla, musk and amber.